We are pleased to announce that we have successfully become registered with the FPA (Funeral Planning Authority). We’ve shown that we meet the necessary criteria and have demonstrated compliance with their Rules and Code of Practice. 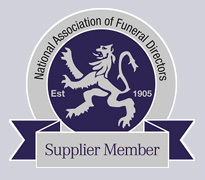 The company is now officially an FPA registered provider of funeral plans. When you buy a prepaid funeral plan do you actually know what's happening to your money? Want to know the latest funeral costs information in the UK? Here at Open Prepaid Funerals, we understand that planning a funeral can be a stressful time and unexpected costs can soon mount up. There are hundreds of sites and articles that try to dispel the myths associated to funeral planning, but with the national average of a funeral service standing at approximately £4,000, we want to show you exactly what types, services and products are typically associated to a funeral, and the financial impact of this. Families are being hit by a cruel stealth tax that is forcing cremation and burial fees up to crippling levels, according to new research from Funeralbooker, the independent and impartial funeral comparison service. We have some important news to share with you that could make an immediate difference to your decision about taking out an Open Prepaid Funerals Plan. Do you already have a funeral plan? Although the growth in funeral plans taken out, specifically by the over 50s is growing rapidly only 12% of people over 50 years of age currently have a prepaid funeral plan. How Much of Your Prepaid Funeral Plan Money is Being Lost? If you've been considering a prepaid funeral plan then you could be forgiven for wondering which way to turn. After all, while the principle is a simple one there is a reasonable choice available. Open Prepaid Funerals Limited provide one of the leading funeral plans in terms of financial performance for funeral directors and that means a lot to us. Funeral Planning is growing rapidly. The number of people in the UK taking out a funeral plan continues to increase each year with over 135,000 plans taken out in 2013 alone. Since our launch in 2003 we have also seen constant year on year growth. The cost of a funeral may not be something that you have given much thought to. However with the average cost of a funeral rising year on year, this subject is something you should consider sooner rather than later. In 2003, Open started its business selling funeral plans within a market that was both young and disrupted.